Technology has a tendency to lead us into realms we could rarely have envisaged. Once architecture was all about drawing boards and draughtsmanship and engineering was all about the purity of a complex calculation (which may have taken three days to compute), and little sympathy or understanding was shared between these disciplines. 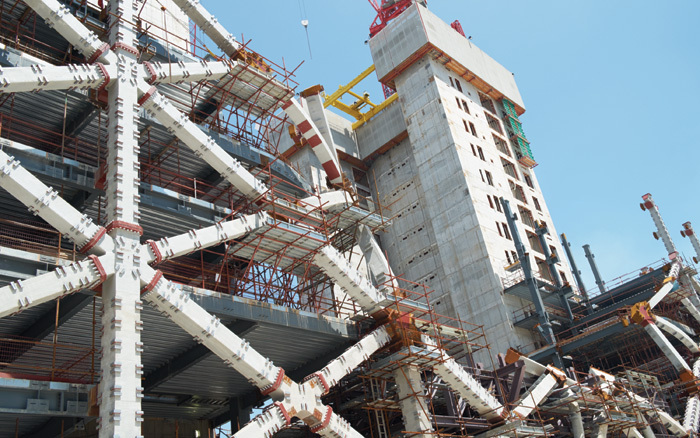 Now the crossovers between design and engineering technologies have opened up hitherto inconceivable opportunities for dialogue and collaboration between architects and engineers, and given rise to new forms of materiality, structure, aesthetics and building performance. 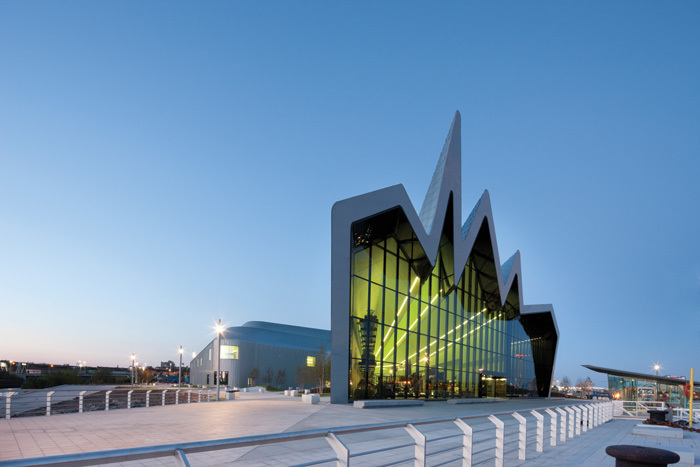 At the forefront of this evolution is Zaha Hadid Architects, and BuroHappold has been one of its longest-standing engineering partners in structural experimentation. 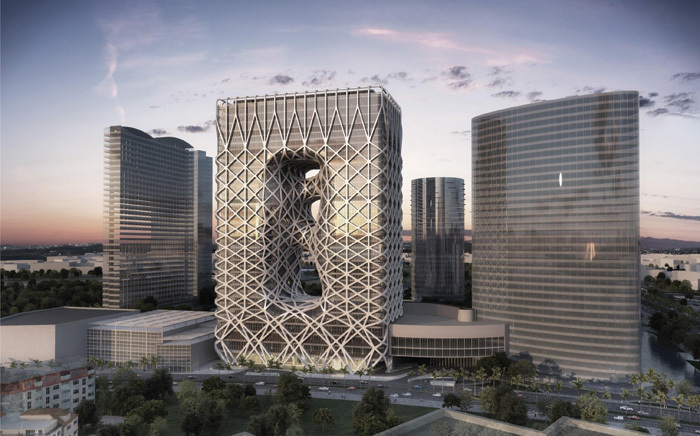 It should be no surprise that Hadid was able to embrace the kind of mathematical complexity required to push what might previously have been thought possible with the geometries of her buildings - after all, her first degree was in mathematics. 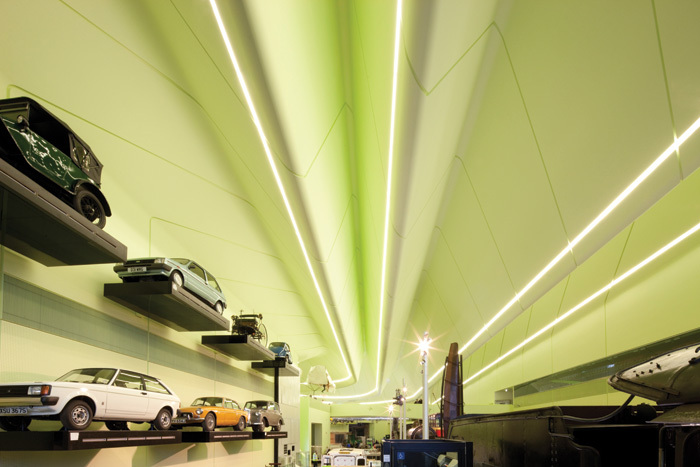 But BuroHappold’s ebullient director and engineering evangelist, Wolf Mangelsdorf, thinks it was Hadid’s approach to collaboration that lit the spark for this cross-fertilisation, as much as her gift for calculus. 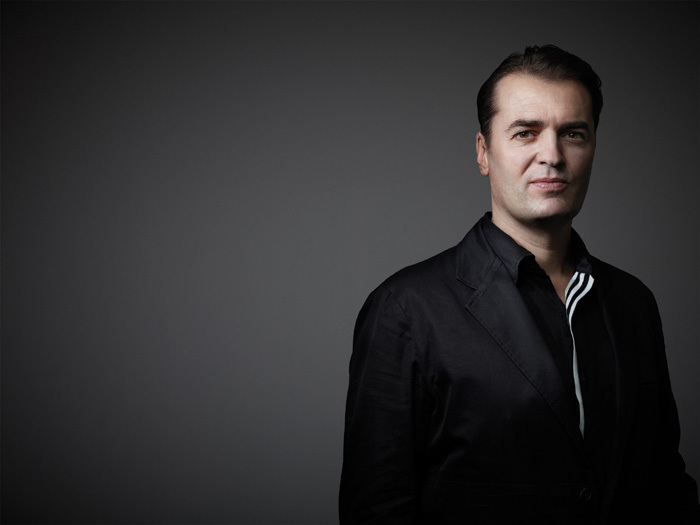 Mangelsdorf says: ‘Zaha and Patrik [Schumacher, director] always appreciated that great work like they are doing cannot be done without engineers. With them, there has always been a big appreciation of the engineer, and a very collaborative spirit. But it takes a particular kind of engineer to want to make these shapes happen, Mangelsdorf agrees. He says that in the early days ‘I think engineers just didn’t know what to do with it. You cannot get this stuff out of a text book. You have to take your text book and completely reinterpret it. That’s the challenge. This is not the sort of thing you do if you want an easy life. And for us, there is actually a big challenge in this. But I hate nothing more than getting bored. 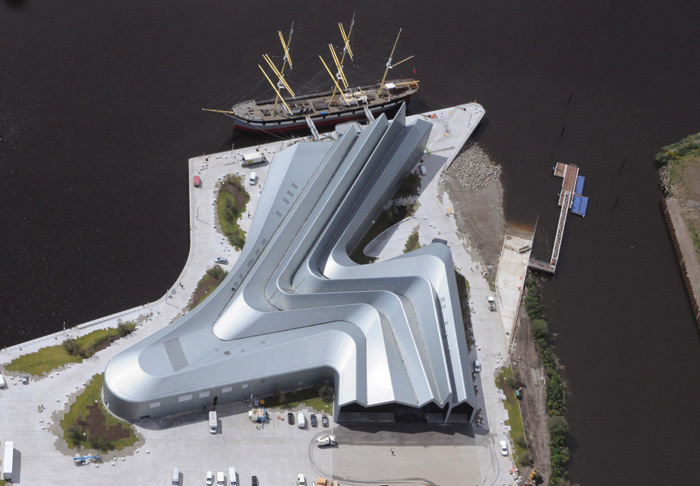 With Zaha’s buildings, I will never get bored. Schumacher: ‘We like to make the visible architectural presence as much as possible coincident with the structure itself, and the necessary systems, and avoid if possible wrapping up all of this in sheet rock or some other surface, which then creates a different figure. Why? Because there’s more trust in that overall artefact and you avoid the sense of being in a stage set. But these were early buildings - buildings created at a time when structures were severely limited by what skills and technologies engineers had available. 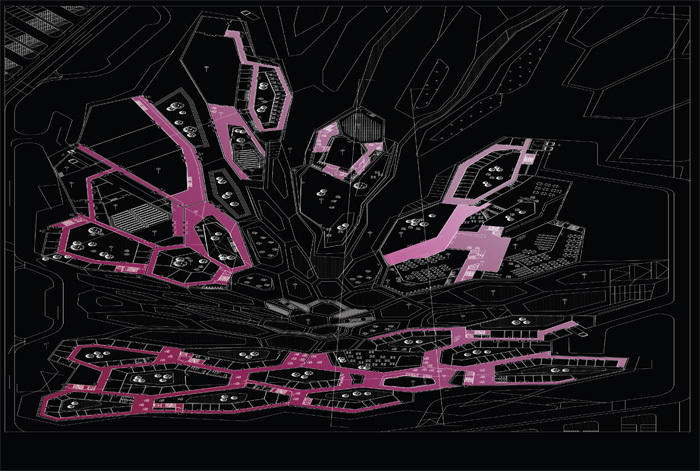 Over the years ZHA and its engineer collaborators have been quick to take advantage of new technologies, new digital computation and analytical software to expand and enrich the entire process. But the technology is always placed in service of the ultimate building and the experience of the building. 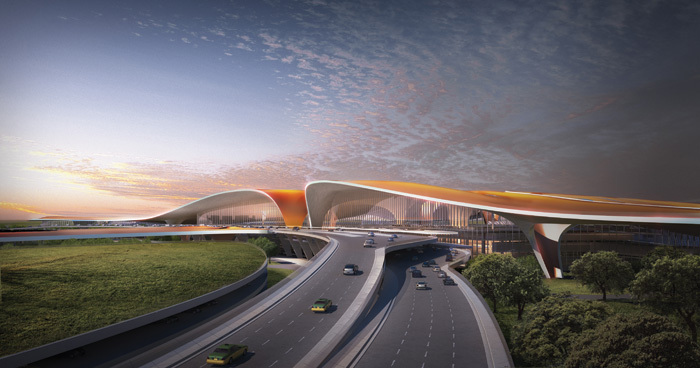 As an exemplar of current computational capacity Mangelsdorf holds up the Beijing Airport competition design, which they won three years ago, as ‘probably the most exciting project I’ve ever worked on… We explored a completely new combined model of lighting, heating, structure, way finding, airplane traffic, that defined the building form. It was truly multidisciplinary.’ Though the full integrity of the design may not have manifested itself in the finished building [it was handed over to Chinese contractors over a year ago], its space-age sinuousness and structural lightness owe more, according to Schumacher, to the more organic engineering of the 19th century than that of the modernist 20th. Says Schumacher: ‘The engineers always knew, in the 19th century, that if you have a structure that is subtly adaptive to the mobile flows and forces it was because there was more labour time available and less luxuriousness with respect to materials. Engineers knew that even a simple system like a beam could be deeper in the centre and then it could be shallower at the edge… they could play with shapes according to what they understood about the distribution of weight, using mostly organic forms. ‘In modernism,[engineering] was dominated by laboursaving machining, so then you get [restricted by] fabrication and extrusion logics, repetition logics, one-size-fits-all logics, and you lost a lot of that elegance. And now we can bring it back, but we don’t need all that handcraft and labour to bring it back. We can use sophisticated machinery to bring it back. And on top of this we have a degree of suppleness… We can work with irregular set-ups and compute the differentiations. That gives an organic character to the space but also tells you about the space. Mangelsdorf: ‘Everything you have just outlined is about performance in a way - engineering performance and performance of the space that we can test in various ways - and I think that’s where the collaboration comes together. 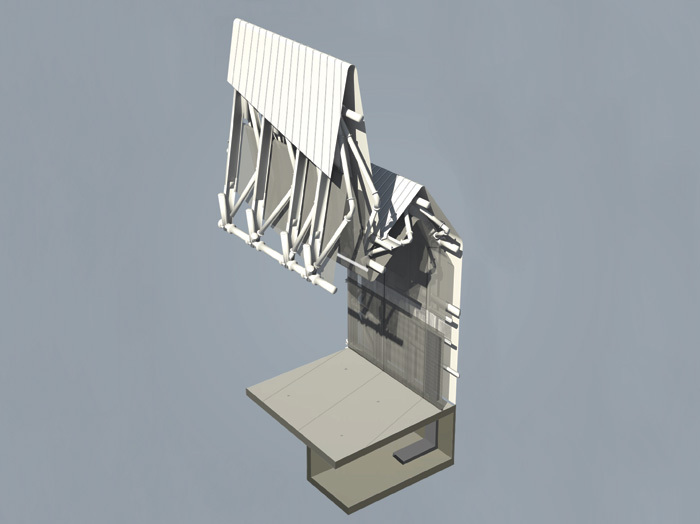 Because, obviously, Patrik’s team will test it against the architectural performance parameters that have been set for the space but we feed into that the environmental parameter studies or the structural parameter studies. Or there are compound parameter studies at times where we distil [requirements for] light and humidity and other factors into compound, people-based parameters that are about wellbeing or comfort. Or you can even link it to productivity if you want. Schumacher: ‘It’s like a serendipitous…synergy between two factors. What the structural optimisation delivers is of a character we desire for our aesthetic and semiologic captivation of the spaces. If the form is rigorously optimised according to certain criteria, it delivers elegance and beauty, which is often superior to what we could have invented [by hand/eye]. 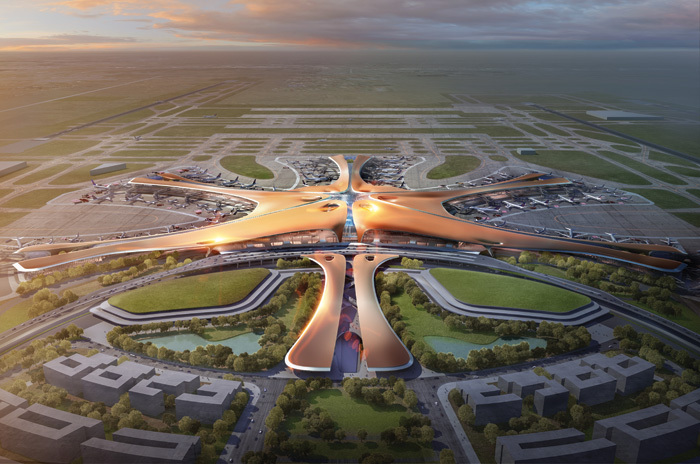 In my theory of beauty we have to recognise that we are trained to respond to forceful, coherent artefacts… We look at something like this [he shows designs for Beijing Airport’s interior] and we sense there is orchestration that is meaningful and purposeful. That’s what a project coming out of rigorous, sophisticated engineering delivers: a complex, variegated order we find attractive or beautiful but that also gives us the social order, which maps itself into these spaces. So, for instance, rather than being given a [building with an] array of 200 neutral boxes [rooms], whether they are ground up, or north, east or west, we give them a range of varied spaces that communicate their place in the structure: the lower ones are more robust and have this heaviness; at the top they become more filigree. That helps us to map the different functions on to something where they become recognisable rather than becoming disorientating. 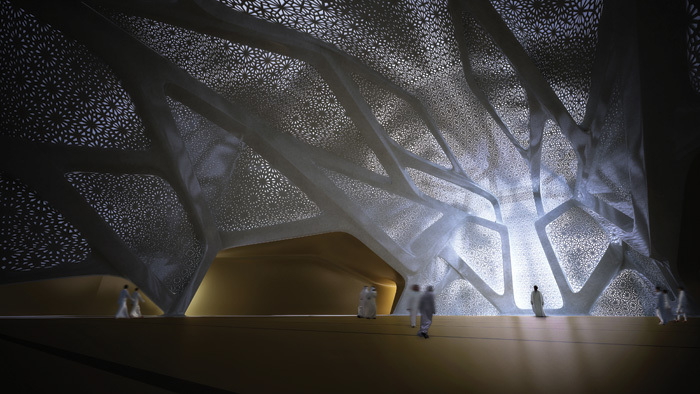 The project ZHA is completing in Riyadh - the King Abdullah Petroleum Studies and Research Centre - represents yet another evolutionary leap, adopting a more overtly biomimetic approach: the structure’s crystalline form is highly calibrated to maximise daylight, function and shade. 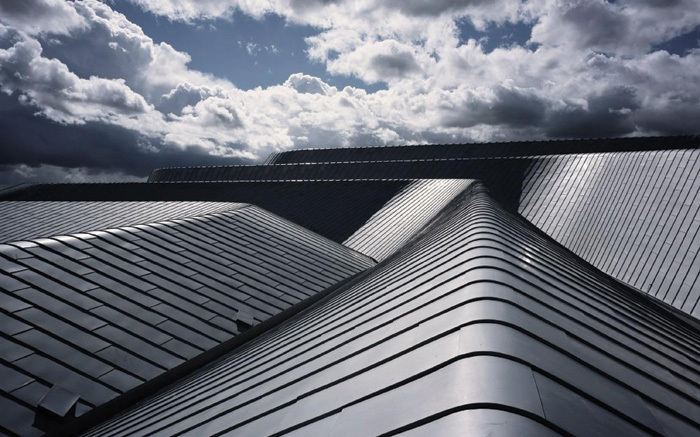 The outer shell is both protective and porous, bringing daylight into interior spaces and creating buffer zones for smooth transitions from outside to in. The pair are clearly excited by recent advances in biomimetic computation, allowing architects, engineers, and scientists to replicate the extraordinary complexity of biological systems - and even generate new forms through sophisticated programming. But it’s perhaps not surprising that, while these two early adopters are enthusiastic at the thought of computers being able to self-generate new kinds of biomimetic architecture - using the latest gimmick, ‘genetic algorhithms’, for example - this prospect elicits a great deal of concern elsewhere,not just from those wary of handing over the structuring and programming of our world to robotic systems, but from the architecture and engineering professions in general, fearful of being computed out of a job. Schumacher dismisses the doubters: ‘The tools in themselves don’t help you put on the table what to analyse. [Human] trial and error does.’ Adds Mangelsdorf: ‘What a genetic algorithm does is it works as a generational, evolutionary [system]. You set boundary conditions and you have an algorithm that starts testing things against those boundary conditions and fitness criteria. It will discard the bad ones and continue with the good ones. The tool is beautiful and powerful but it’s only as good as the one who is driving it. 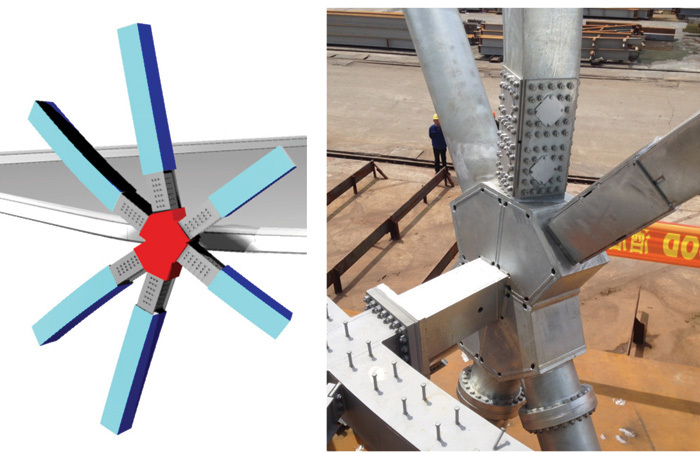 This is what we are continually getting towards: parametric engineering is really giving us incredibly powerful tools that allow us to optimise, to analyse and to select. But it is not designing a building for us. What designs the building is how we define the boundary conditions, the fitness criteria, and it’s a very individual thing. Schumacher: ‘For us, we would rather compose in this kind of logically constrained space rather than composing more freely, which we did when we first used computers, because we didn’t have these tools. It gives a certain formal rigour. 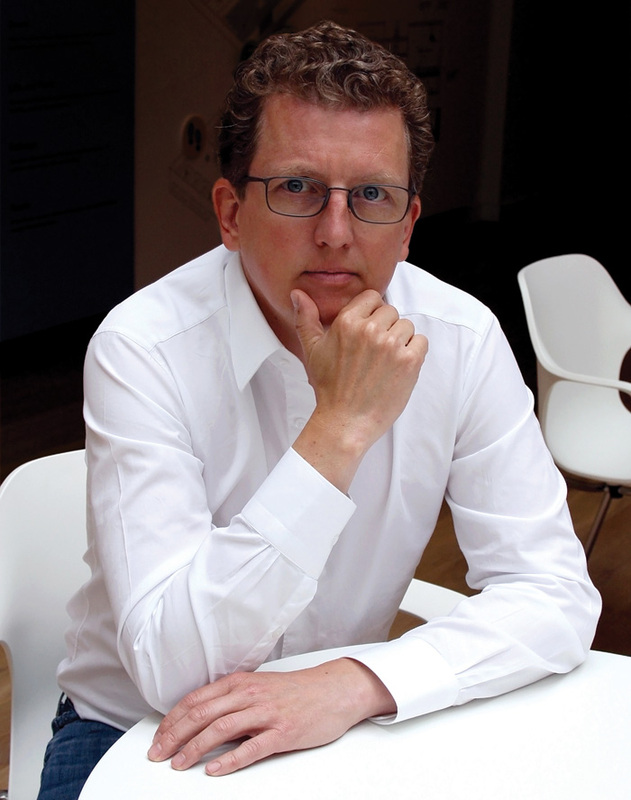 Schumacher: ‘Nature is the same… What I say now is that we aspire to this rule-based generation of projects. That’s why we started to distil the rules, and I think we prefer the scripted proliferation on variations in the system and the scripted negotiation of parameters. Why? Because that’s more supple, more rigorous, more nature-like, and rarely can we compete with that in a tool. Mangelsdorf concludes: ‘And that generates a dialogue. We go back to the beginning. We contribute quite strongly to the formulation of the orchestration of those different parts because pushback just for pushback’s sake doesn’t work.